"Yen Sid" being Disney backwards is only the beginning. Disney were animation trailblazers in the 1940s, and after two films specifically aimed at a younger audience, they went in a new direction with a third outing targeting a more mature audience. Easily their most ambitious project at the time (and possibly ever), Fantasia took its inspiration from pieces of classical music and poetry as opposed to a fairytale. The result is some of the most breathtaking animation ever put to film. The compilation film featured some of the most recognisable music in history, and continues to be named as Walt Disney’s crowning achievement; who himself put more focus on this film than he did Pinocchio, which was also in production at the time. 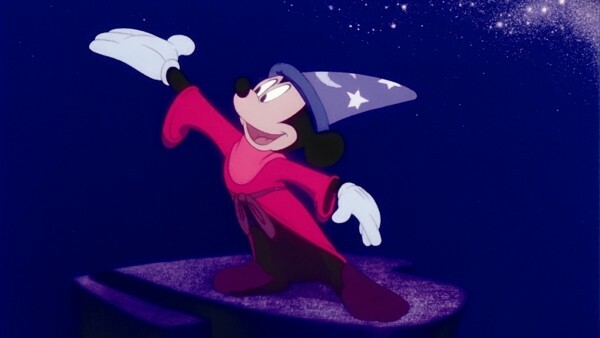 And despite being another initial bomb financially, Fantasia earned a strong following over time, proving not only can animation be for adults, but it can be a legitimate art form. For a film with such a problematic production and which was clearly a passion project for Disney, many things were scrapped from the film or pieces of music were considered. It had to be just perfect, and Disney made damn sure it was exactly that. Wrestling fan since 2007, gamer since 1995, movie buff all my life, I am truly all that is nerd. I make a mean Salmon Teriyaki too!